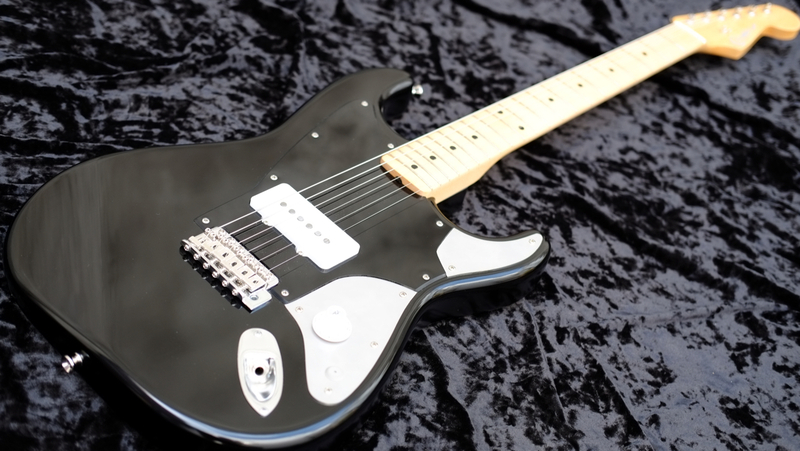 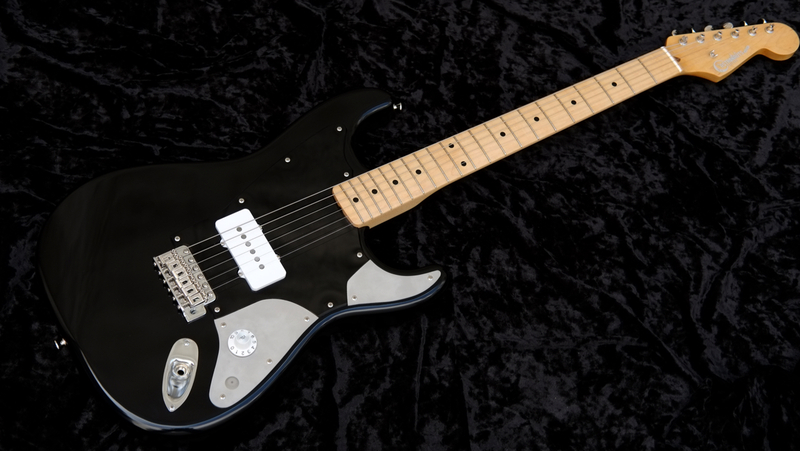 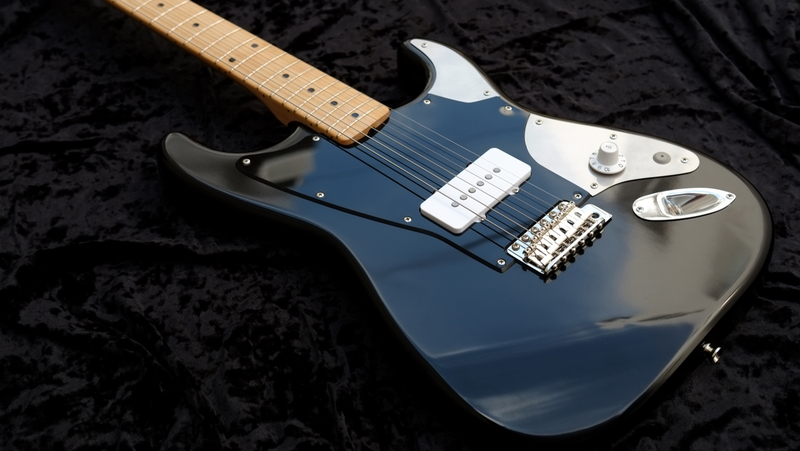 This time it is a combination of Alder body and long-awaited One Piece / Maple Neck which we have not made until now. 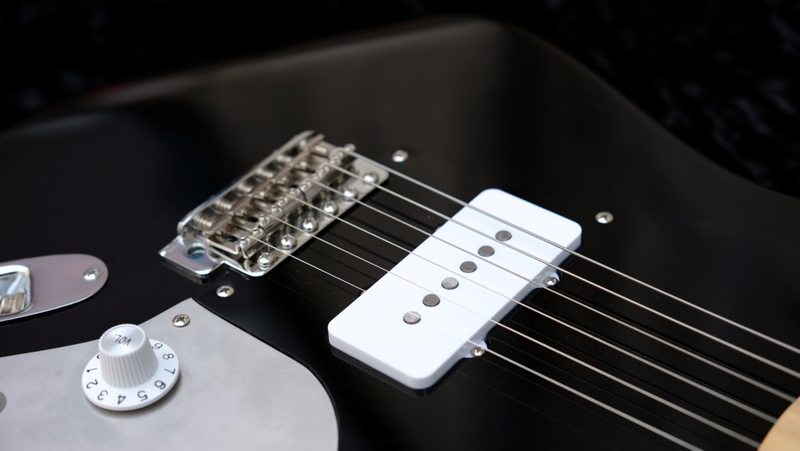 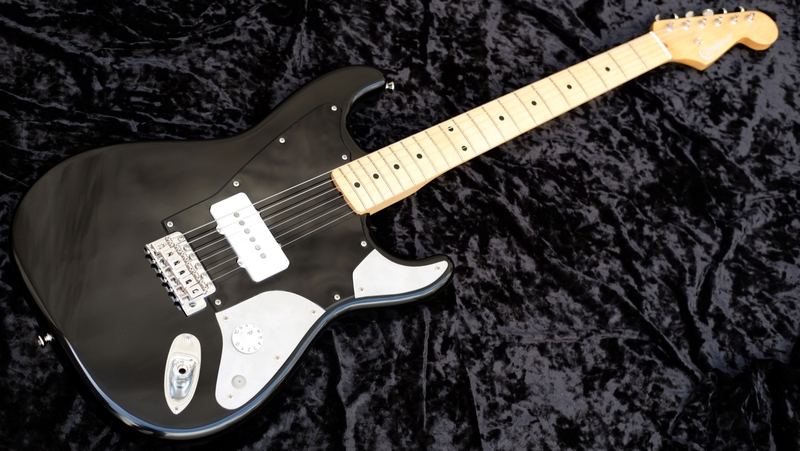 JM – 59 “The Master” of RetroTone Pickups is installed in a position designed to draw out the best ringing in 1 PU, realizing a simple and thick sound unique to a one – piece neck. 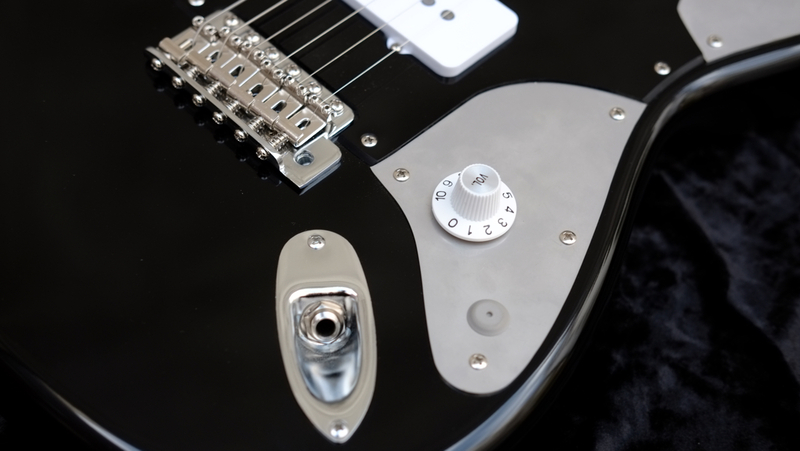 The stainless steel control panel has a hole that allows for future tone expansion etc., so if you remove the cap, you can add pots and jacks. 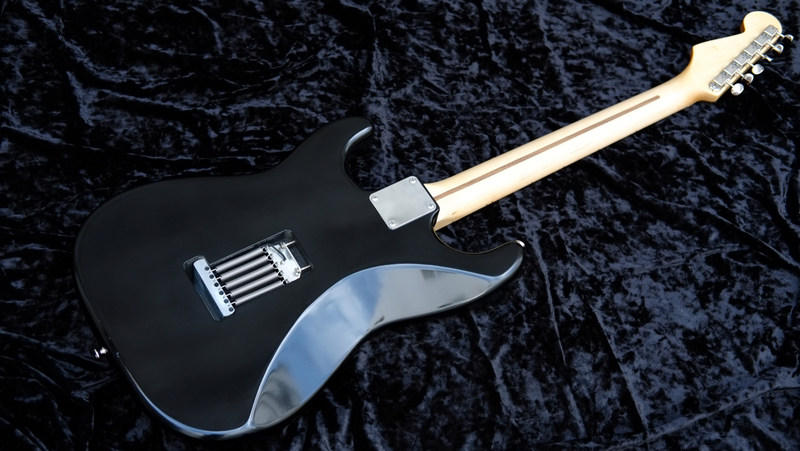 Body color is “Leather Black”. 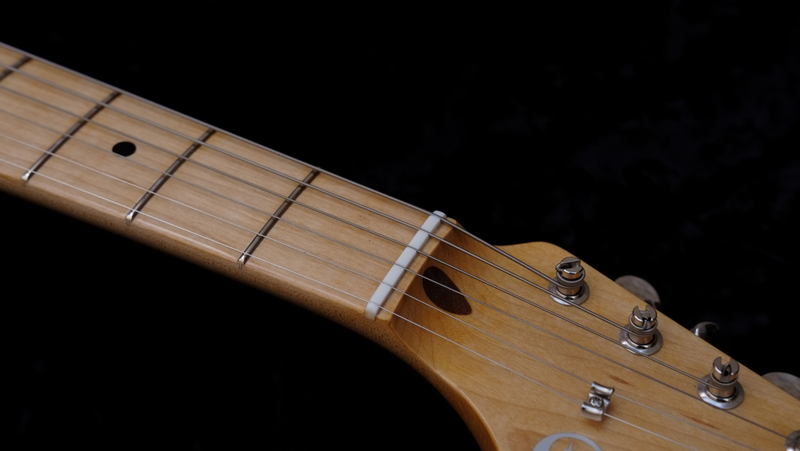 The appearance gives a slightly different impression from the same color guitar that we have produced so far with a maple neck and different pick guards of texture. 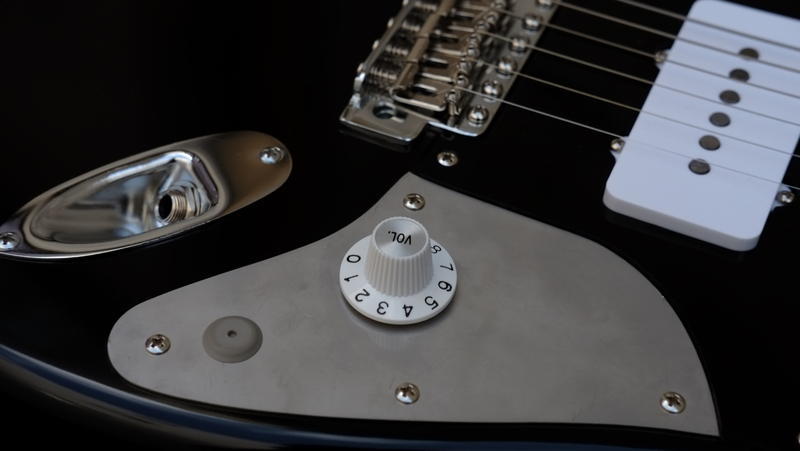 White’s witch hat knob used at one point also helps a unique atmosphere. 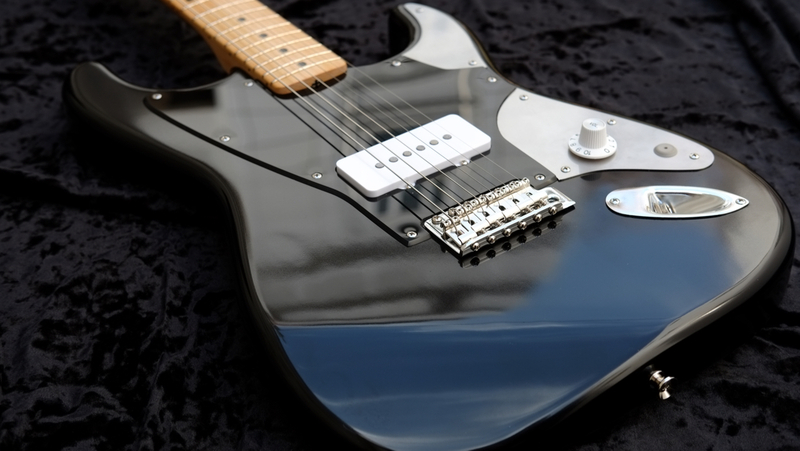 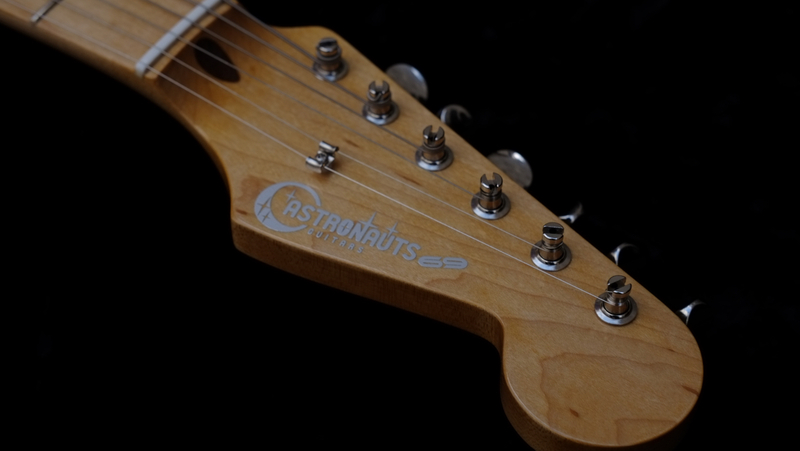 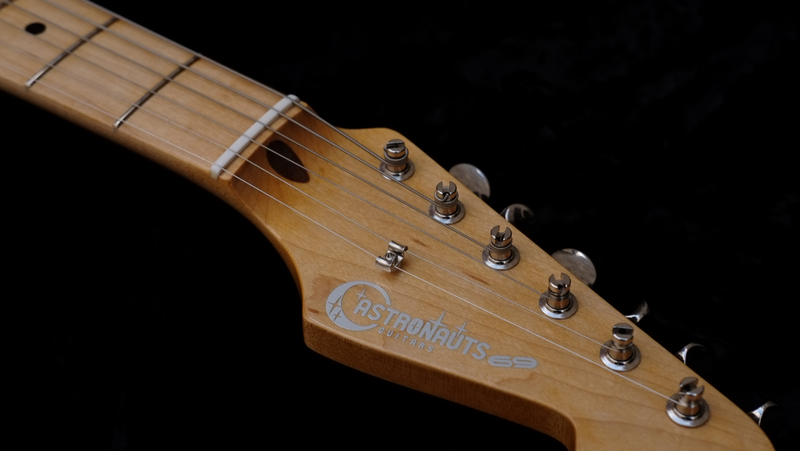 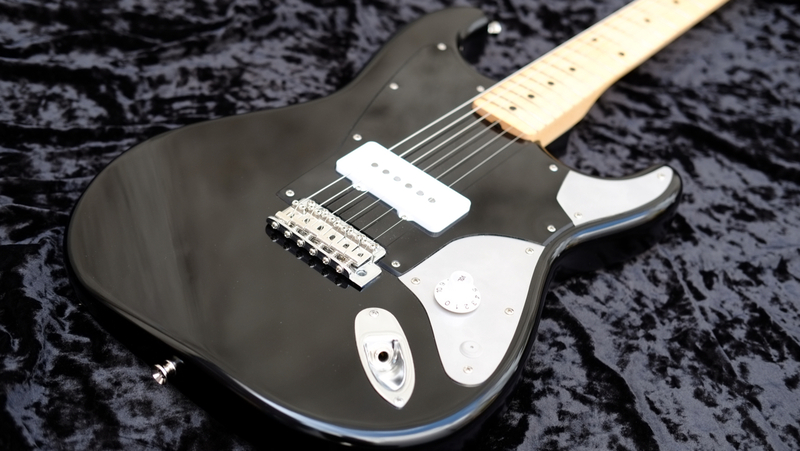 Of course, it does not provide a soft and thick sanding sealing layer which adversely affects the sound side, it is the same ultrathin nitrocellulose · lacquer finish as Old Fender. 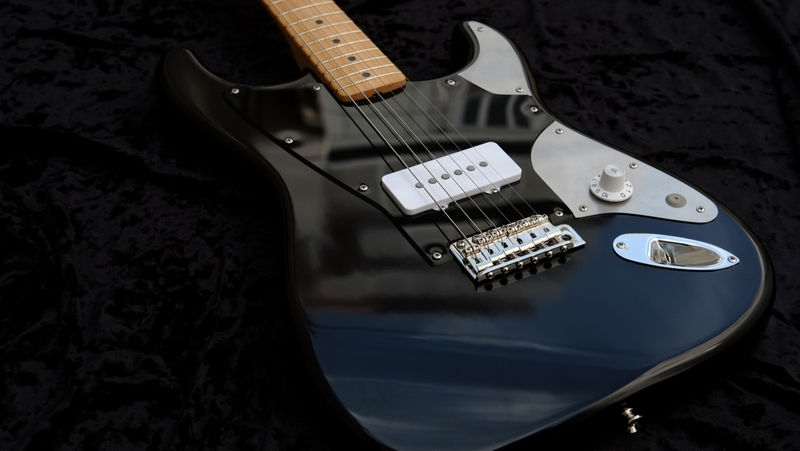 There is no poor coming out like the manufacturer’s mass-produced goods, and there is the goodness of the response which expresses the nuance of hand firmly. 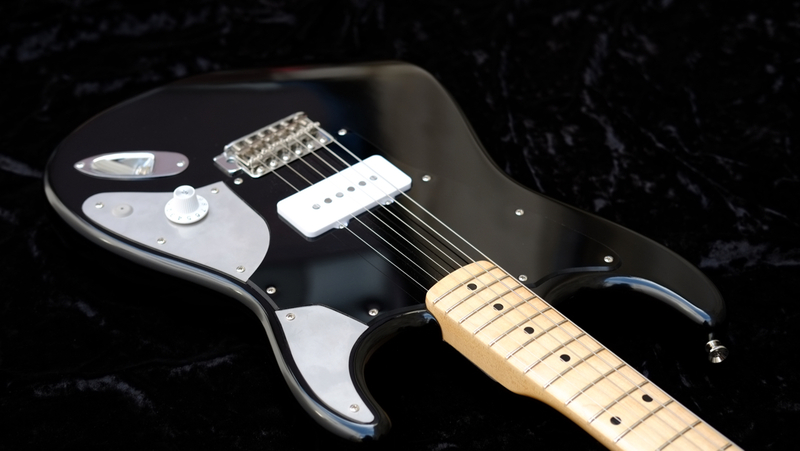 It grows as a musical instrument enough to wear and you can also enjoy secular change of lacquer.